We offer Traditional Chinese Medicine, Nutrition Response Testing, Neuro Emotional Release Techniques, Hcg weight Loss, Tuina Massage, & more. 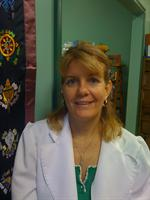 Services Sherri D'Alessio is an Acupuncturist or Acupuncture office in Vero Beach, FL. Call Sherri D'Alessio at (772) 567-6700 for a detailed description of the services offered. Acupuncturist like Sherri D'Alessio offer services that often include facial renewal acupuncture, cupping, moxibustion, Gua Sha, Zen Shiatsu, Chinese herbal formula, herbal medicine, smoking cessation and Traditional Chinese Medicine (TCM). Talk to the staff at Sherri D'Alessio for information about your acupuncture needs in Vero Beach, FL. They had a huge selection of educational materials in the waiting room. I was able to gather lots of info on health. Not only do my appointments never get canceled last minute, they take time out of their day to send me a reminder so I don't forget. They are extremely reliable. Their prices were very fair. The level of care you get for the price is outstanding.